These two programmes were conducted by the Department of Civil Engineering, Indian Institute of Science between 6 - 10 February 2012 and 4 - 5 February 2012. The Council provided the required logistical assistance to the Department of Civil Engineering, IISc., in conducting the above programmes. However various eminent scientists have provided lecture notes for reference has been updated in this Portal. At the behest of the Department of Science and Technology, Government of India, the Karnataka State Council for Science and Technology, had organized an interaction meeting of Scientific Advisory Committee to Prime Minister (SAC-PM) with State Departments/ Councils of all the State S & T Councils in the country between 10.00 a.m. to 1.00 p.m. on 6th July 2013 at Indian Institute of Science, Bangalore. List of SAC-PM Members and participants from the State S&T Councils is at Annexure 1 & 2. This was organized to deliberate on the role on development of science and technology in the respective States and future plans to make S&T as an integral part of State Development and Growth. Indo-French Centre for the Promotion of Advance Research (CEFIPRA) in collaboration with the Karnataka State Council for Science and Technology (KSCST) has taken the initiative to launch a Region-Region cooperation programme on a pilot scale between the State of Karnataka, India and Region of Aquitaine, France. The programme will follow two distinct but closely linked pathways of Knowledge Cooperation and Business Cooperation in the areas of Aerospace and Biotechnology. A delegation from Karnataka comprising of a blend of experts drawn from Academic Institutions, Heads of Professional Associations and CEO / Senior Executives of Industrial Establishments in the areas of Biotechnology and Aerospace. visited France in the month of November 2013 to exchange ideas and also explore the complimentary capabilities at various stages of the knowledge innovation chain, cooperation at regional level, with the involvement and support of the local governments, to provide the stakeholders a sustained opportunity to leverage the advantages and establish links for mutual benefits. 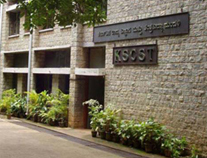 KSCST has organised India - EU Water Projects Review meeting on 14 - 15th March 2014 at KSCST, Bangalore based on the request by International Multilateral & Regional Cooperation Division, DST,GOI. This meeting was organised to review the status of the projects sanctioned under joint programme of India-EU water technology research programme. About 14 Project Investigators/Co PIs representing 4 research projects from Indian side have participated and presented the status of activities carried out in their respective projects before the Expert committee in the Review meeting. Kerala State Council for Science Technology and Environment (KSCSTE) had organised 26th Kerala Science Congress - Sasthra Jalakam - National Science Expo held at Chandragiri Auditorium, Kalpetta, Wayanad, Kerala between 27th January 2014 & 31st January 2014. KSCST participated in this Science Congress and exhibited the Council activities and made powerpoint presentations. Many National S&T organisations have also participated in the Science Congress. University Students, Research Scholars, student community and public in general visited Stall and got information about projects and programmes implemented by the Council. February 28 was designated as National Science Day (NSD) by Government of India in 1987. Since then this day is celebrated throughout the country with great enthusiasm. Karnataka State Council for Science and Technology every year celebrates National Science Day on 28th February to commemorate the day on which Sir C.V.Raman discovered the Raman effect. KSCST has taken many science popularization activities and of these activities National Science Day celebrations is one of the major event.